THIS MASTER SERVICES AGREEMENT (“AGREEMENT”) GOVERNS YOUR ACQUISITION AND USE OF SERVICES PROVIDED BY KYNDI USG, (“KYNDI”). BY ACCEPTING THIS AGREEMENT, EITHER BY EXECUTING AN ORDER FORM THAT REFERENCES THIS AGREEMENT, OR BY USING ANY SERVICES, YOU AGREE TO THE TERMS OF THIS AGREEMENT. IF YOU ARE ENTERING INTO THIS AGREEMENT ON BEHALF OF A COMPANY OR OTHER LEGAL ENTITY, YOU REPRESENT THAT YOU HAVE THE AUTHORITY TO BIND SUCH ENTITY AND ITS AFFILIATES TO THIS AGREEMENT, IN WHICH CASE THE TERM “CUSTOMER” SHALL REFER TO SUCH ENTITY AND ITS AFFILIATES. IF YOU DO NOT HAVE SUCH AUTHORITY, OR IF YOU DO NOT AGREE WITH THE TERMS AND CONDITIONS OF THIS AGREEMENT, YOU MUST NOT ACCEPT THIS AGREEMENT AND YOU MAY NOT USE THE SERVICES. IF THERE IS A SEPARATE SIGNED AGREEMENT BETWEEN CUSTOMER AND KYNDI GOVERNING THE USE OF THE SERVICES, THEN THE SIGNED AGREEMENT SHALL PREVAIL AND THIS AGREEMENT SHALL NOT BE APPLICABLE. 1.2 “Content” means information obtained by Kyndi or its third party content providers and made available to Customer through the Services. 1.3 “Customer Data” means: (a) information, data and other content, in any form or medium, that is submitted by Customer or an Authorized User to the Services; and (b) reports generated by the Services from the processing of such Customer Data. For the avoidance of doubt, Customer Data includes information reflecting the access or use of the Services by or on behalf of Customer or any Authorized User, but does not include any Content or Resultant Data. 1.4 “Documentation” means the Services documentation, and its usage guides and policies, as updated from time to time, accessible via login to the Services. 1.5 “Effective Date” means the date the parties entered into the first Order Form as set forth therein. 1.6 “Kyndi Materials” means the Services, Documentation, Content and any and all other information, data, documents, materials, works and other content, devices, methods, processes, hardware, software and other technologies and inventions, including any deliverables, technical or functional descriptions, requirements, plans or reports, that are provided or used by Kyndi in connection with the Services. For the avoidance of doubt, Kyndi Materials include Resultant Data, but does not include Customer Data. 1.7 “Malicious Code” means code, files, scripts, agents or programs intended to do harm, including, for example, viruses, worms, time bombs and Trojan horses. 1.8 “Order Form” means an ordering document or online order specifying the Services to be provided hereunder that is entered into between Customer and Kyndi or any of their Affiliates, including any addenda and supplements thereto. By entering into an Order Form hereunder, an Affiliate agrees to be bound by the terms of this Agreement as if it were an original party hereto. 1.9 “Resultant Data” means information, data and other content that is derived by or through the Services from processing Content and/or Customer Data which is sufficiently different from such Customer Data that such Customer Data cannot be reverse engineered or otherwise identified from the inspection, analysis or further processing of such information, data or content. 1.10 “Services” means the products and services that are ordered by Customer under an Order Form and made available online by Kyndi, provided, however that Services do not include Content. 1.11 “User” means an individual who is authorized by Customer to use the Services, for whom Customer has purchased a subscription (or in the case of any Services provided by Kyndi without charge, for whom a Service has been provisioned), and to whom Customer (or, when applicable, Kyndi at Customer’s request) has supplied a user identification and password (for Services utilizing authentication). Users may include, for example, employees, consultants, contractors and agents of Customer, and third parties with which Customer transacts business. 2.1 Provision of Services. Subject to and conditioned on Customer’s and its Users’ compliance with the terms and conditions of this Agreement, during the Term, Kyndi will: (a) make the Services and Content available to Customer and its Users pursuant to this Agreement and the applicable Order Forms; (b) provide applicable Kyndi standard support for the Services to Customer at no additional charge, and/or upgraded premium support if purchased; (c) use commercially reasonable efforts to make the Services available 24 hours a day, 7 days a week, except for: (i) planned downtime (of which Kyndi shall give advance electronic notice as provided in the Documentation); and (ii) any unavailability caused by circumstances beyond Kyndi’s reasonable control, including, for example, an act of God, act of government, flood, fire, earthquake, civil unrest, act of terror, strike or other labor problem (other than one involving Kyndi employees), Internet service provider failure or delay, or denial of service attack; and (d) provide the Services in accordance with laws and government regulations applicable to Kyndi’s provision of its Services to its customers generally (i.e., without regard for Customer’s particular use of the Services). 2.2 Protection of Customer Data. Kyndi will maintain administrative, physical, and technical safeguards for protection of the security, confidentiality and integrity of Customer Data. Those safeguards will include, but will not be limited to, measures for preventing access, use, modification or disclosure of Customer Data by Kyndi personnel except: (a) to provide the Services and prevent or address service or technical problems; (b) as compelled by law; or (c) as expressly permitted in writing by Customer. Notwithstanding the foregoing, The Services do not replace the need for Customer to maintain regular data backups or redundant data archives. Kyndi has no obligation or liability for any loss, alteration, destruction, damage, corruption or recovery of Customer Data. The terms of the data processing addendum at www.kyndi.com/data-processing-addendum (“DPA“) are hereby incorporated by reference and shall apply to the extent Customer Data includes Personal Data, as defined in the DPA. For the purposes of the Standard Contractual Clauses, Customer and its applicable Affiliates are each the data exporter, and Customer’s execution of this Agreement, and an applicable Affiliate’s execution of an Order Form, shall be treated as its execution of the Standard Contractual Clauses and their Appendix 1. 2.3 Control of the Services. Kyndi has and will retain sole control over the operation, provision, maintenance and management of the Services and Kyndi Materials. Kyndi reserves the right, in its sole discretion, to make any changes to the Services and Kyndi Materials that it deems necessary or useful to: (a) maintain or enhance the quality or delivery of the Services; or (b) to comply with applicable laws. Kyndi may from time to time in its discretion engage third parties to perform Services. 2.4 Service Level. During the Term, the Services will meet the service level specified in the “Service Level Commitment” listed on the Kyndi website located at www.kyndi.com/service-level-addendum or such other URL as specified by Kyndi. In the event that Kyndi fails to achieve the applicable service level, Customer will be entitled, as its sole and exclusive remedy, to terminate this Agreement and receive a refund in accordance with the terms set forth in the applicable Service Level Commitment. Kyndi’s respective system logs and other records shall be used for calculating any service level events. 2.5 Professional Services. In the event that Kyndi provides certain professional services to Customer, the professional services shall be provided by Kyndi pursuant to Statements of Work issued pursuant to the Kyndi Professional Services Addendum which can be found at https://kyndi.com/professional-services-addendum/ and which, if applicable, are hereby fully incorporated herein by reference. 3.1 Usage Limits. The Services and Content are subject to usage limits specified in Order Forms. Unless otherwise specified: (a) a quantity in an Order Form refers to Users, and the Service or Content may not be accessed by more than that number of Users; (b) a User’s password may not be shared with any other individual; and (c) except as set forth in an Order Form, a User identification may only be reassigned to a new individual replacing one who will no longer use the Service or Content. If Customer exceeds a contractual usage limit, Kyndi may work with Customer to seek to reduce Customer’s usage so that it conforms to that limit. If, notwithstanding Kyndi’s efforts, Customer is unable or unwilling to abide by a contractual usage limit, Customer will execute an Order Form for additional quantities of the applicable Services or Content promptly upon Kyndi’s request, and/or pay any invoice for excess usage in accordance with the “Invoicing and Payment” section below. 3.2 Proper Use of the Services. Customer will: (a) be responsible for Users’ compliance with this Agreement, Documentation and Order Forms; (b) be responsible for the accuracy, quality and legality of Customer Data and the means by which Customer acquired Customer Data; (c) use commercially reasonable efforts to prevent unauthorized access to or use of Services and Content, and notify Kyndi promptly of any such unauthorized access or use; and (d) use Services and Content only in accordance with this Agreement, Documentation, Order Forms and applicable laws and government regulations. 3.3 Restrictions. Customer will not: (a) make the Kyndi Materials available to, or use any Kyndi Materials for the benefit of, anyone other than Customer or Users, unless expressly stated otherwise in an Order Form or the Documentation; (b) sell, resell, license, sublicense, distribute, make available, rent or lease any Kyndi Materials, or include any Service or Content in a service bureau or outsourcing offering; (c) use Kyndi Materials to store or transmit infringing, libelous, or otherwise unlawful or tortious material, or to store or transmit material in violation of third-party privacy rights; (d) use Kyndi Materials to store or transmit Malicious Code; (e) interfere with or disrupt the integrity or performance of any the Kyndi Materials; (f) attempt to gain unauthorized access to any the Kyndi Materials or their related systems or networks; (g) permit direct or indirect access to or use of any the Kyndi Materials in a way that circumvents a contractual usage limit, or use any of the Services to access or use any Kyndi intellectual property except as permitted under this Agreement, an Order Form, or the Documentation; (h) copy any the Kyndi Materials or any part, feature, function or user interface thereof; (i) copy Content except as permitted herein or in an Order Form or the Documentation; (j) frame or mirror any part of any Service or Content, other than framing on Customer’s own intranets or otherwise for its own internal business purposes or as permitted in the Documentation; (k) access any the Kyndi Materials in order to build a competitive product or service or to benchmark with a non-Kyndi product or service; or (l) reverse engineer the Services (to the extent such restriction is permitted by law). Customer’s or a User’s intentional violation of the foregoing, or any use of the Services in breach of this Agreement, Documentation or Order Forms, by Customer or Users that in Kyndi’s judgment imminently threatens the security, integrity or availability of Kyndi’s services, may result in Kyndi’s immediate suspension of the Services. Kyndi will use commercially reasonable efforts under the circumstances to provide Customer with an opportunity to remedy such violation or threat prior to any such suspension. 3.4 Electronic Communications. Customer acknowledges and understands that use of the Services will involve transmission of Customer Data over the Internet, and over various networks (“Electronic Communications”), only part of which may be owned and/or operated by Kyndi. Customer further acknowledges and understands that Electronic Communications may be accessed by unauthorized parties when communicated across the Internet, network communications facilities, telephone or other electronic means. Customer agrees that Kyndi is not responsible for any Electronic Communications and/or Customer Data which are delayed, lost, altered, intercepted or stored during the transmission of any data whatsoever across networks not owned and/or operated by Kyndi, including, but not limited to, the Internet and Customer’s local network. 4.1 . Customer will pay all fees specified in Order Forms. Except as otherwise specified herein or in an Order Form: (a) fees are based on Services and Content subscriptions purchased and not actual usage, provided, however that if Customer exceeds any applicable usage, excess usage fees will be due; (b) payment obligations are non-cancelable and fees paid are non-refundable; and (c) quantities purchased cannot be decreased during the relevant subscription term. 4.2 Invoicing and Payment. Fees will be invoiced in advance and otherwise in accordance with the relevant Order Form. Unless otherwise stated in the Order Form, fees are due net 30 days from the invoice date. Customer is responsible for providing complete and accurate billing and contact information to Kyndi and notifying Kyndi of any changes to such information. 4.3 Overdue Charges. If any invoiced amount is not received by Kyndi by the due date, then without limiting Kyndi’s rights or remedies, those charges may accrue late interest at the rate of 1.5% of the outstanding balance per month, or the maximum rate permitted by law, whichever is lower. 4.4 Taxes. Kyndi’s fees do not include any taxes, levies, duties or similar governmental assessments of any nature, including, for example, value-added, sales, use or withholding taxes, assessable by any jurisdiction whatsoever (collectively, “Taxes”). Customer is responsible for paying all Taxes associated with its purchases hereunder. If Kyndi has the legal obligation to pay or collect Taxes for which Customer is responsible under this section, Kyndi will invoice Customer and Customer will pay that amount unless Customer provides Kyndi with a valid tax exemption certificate authorized by the appropriate taxing authority. For clarity, Kyndi is solely responsible for taxes assessable against it based on its income, property and employees. 4.5 Future Functionality. Customer agrees that its purchases are not contingent on the delivery of any future functionality or features, or dependent on any oral or written public comments made by Kyndi regarding future functionality or features. 5.1 Reservation of Rights. Subject to the limited rights expressly granted hereunder, Kyndi, its licensors and Content providers reserve all of their right, title and interest in and to the Services, Content and Kyndi Materials, including all of their related intellectual property rights. Customer hereby unconditionally and irrevocably grants to Kyndi an assignment of all right, title and interest in and to the Resultant Data, including all intellectual property rights relating thereto No rights are granted to Customer hereunder other than as expressly set forth herein. 5.2 Access to and Use of Content. Customer has the right to access and use applicable Content subject to the terms of applicable Order Forms, this Agreement and the Documentation. 5.4 License by Customer to Use Feedback. Customer grants to Kyndi and its Affiliates a worldwide, perpetual, irrevocable, royalty-free license to use and incorporate into its services any suggestion, enhancement request, recommendation, correction or other feedback provided by Customer or Users relating to the operation of the Services. 6.1 Definition of Confidential Information. “Confidential Information” means all information disclosed by a party (“Disclosing Party”) to the other party (“Receiving Party”), whether orally or in writing, that is designated as confidential or that reasonably should be understood to be confidential given the nature of the information and the circumstances of disclosure. Confidential Information of Customer includes Customer Data; Confidential Information of Kyndi includes the Services and Content; and Confidential Information of each party includes the terms and conditions of this Agreement and all Order Forms (including pricing), as well as business and marketing plans, technology and technical information, product plans and designs, and business processes disclosed by such party. However, Confidential Information does not include any information that: (a) is or becomes generally known to the public without breach of any obligation owed to the Disclosing Party; (b) was known to the Receiving Party prior to its disclosure by the Disclosing Party without restriction on use or disclosure; (c) is received from a third party without breach of any obligation owed to the Disclosing Party; or (d) was independently developed by the Receiving Party. 6.2 Protection of Confidential Information. The Receiving Party will use the same degree of care that it uses to protect the confidentiality of its own confidential information of like kind (but not less than reasonable care) to: (a) not use any Confidential Information of the Disclosing Party for any purpose outside the scope of this Agreement; and (b) except as otherwise authorized by the Disclosing Party in writing, limit access to Confidential Information of the Disclosing Party to those of its and its Affiliates’ employees and contractors who need that access for purposes consistent with this Agreement and who have signed confidentiality agreements with the Receiving Party containing protections not materially less protective of the Confidential Information than those herein. Neither party will disclose the terms of this Agreement or any Order Form to any third party other than its Affiliates, legal counsel and accountants without the other party’s prior written consent, provided that a party that makes any such disclosure to its Affiliate, legal counsel or accountants will remain responsible for such Affiliate’s, legal counsel’s or accountant’s compliance with this “Confidentiality” section. 6.3 Compelled Disclosure. The Receiving Party may disclose Confidential Information of the Disclosing Party to the extent compelled by law to do so, provided the Receiving Party gives the Disclosing Party prior notice of the compelled disclosure (to the extent legally permitted), and reasonable assistance, at the Disclosing Party’s cost, if the Disclosing Party wishes to contest the disclosure. If the Receiving Party is compelled by law to disclose the Disclosing Party’s Confidential Information as part of a civil proceeding to which the Disclosing Party is a party, and the Disclosing Party is not contesting the disclosure, the Disclosing Party will reimburse the Receiving Party for its reasonable cost of compiling and providing secure access to that Confidential Information. 7.2 Kyndi Warranties. Kyndi warrants that during an applicable subscription term: (a) the Services will perform materially in accordance with the applicable Documentation; and (b) Kyndi will not materially decrease the overall functionality of the Services. For any breach of a warranty above, Customer’s exclusive remedies are those described in the “Termination” and “Refund or Payment upon Termination” sections below. 7.3 Disclaimers. EXCEPT AS EXPRESSLY PROVIDED IN THIS SECTION 7.0, NEITHER PARTY MAKES ANY WARRANTY OF ANY KIND, WHETHER EXPRESS, IMPLIED, STATUTORY OR OTHERWISE, AND EACH PARTY SPECIFICALLY DISCLAIMS ALL IMPLIED WARRANTIES, INCLUDING ANY IMPLIED WARRANTY OF MERCHANTABILITY, FITNESS FOR A PARTICULAR PURPOSE OR NON-INFRINGEMENT, TO THE MAXIMUM EXTENT PERMITTED BY APPLICABLE LAW. content and NON-GA Services are provided “AS IS,” AND AS AVAILABLE EXCLUSIVE OF ANY WARRANTY WHATSOEVER. EACH PARTY DISCLAIMS ALL LIABILITY AND INDEMNIFICATION OBLIGATIONS FOR ANY HARM OR DAMAGES CAUSED BY ANY THIRD-PARTY HOSTING PROVIDERS. 8.1 Indemnification by Kyndi. Kyndi will defend Customer against any claim, demand, suit or proceeding made or brought against Customer by a third party alleging that the Services infringes upon or misappropriates such third party’s intellectual property rights (a “Claim Against Customer”), and will indemnify Customer from any damages, attorney fees and costs finally awarded against Customer as a result of, or for amounts paid by Customer under a settlement approved by Kyndi in writing of, a Claim Against Customer, provided Customer: (a) promptly gives Kyndi written notice of the Claim Against Customer; (b) gives Kyndi sole control of the defense and settlement of the Claim Against Customer (except that Kyndi may not settle any Claim Against Customer unless it unconditionally releases Customer of all liability); and (c) gives Kyndi all reasonable assistance, at Kyndi’s expense. If Kyndi receives information about an infringement or misappropriation claim related to a Service, Kyndi may in its discretion and at no cost to Customer: (i) modify the Services so that they are no longer claimed to infringe or misappropriate, without breaching Kyndi’s warranties under “Kyndi Warranties” above; (ii) obtain a license for Customer’s continued use of that Service in accordance with this Agreement; or (iii) terminate Customer’s subscriptions for that Service upon thirty (30) days’ written notice and refund Customer any prepaid fees covering the remainder of the term of the terminated subscriptions. The above defense and indemnification obligations do not apply to the extent a Claim Against Customer arises from Content, or Customer’s breach of this Agreement, the Documentation or applicable Order Forms. 8.2 Indemnification by Customer. Customer will defend Kyndi against any claim, demand, suit or proceeding made or brought against Kyndi by a third party alleging that any Customer Data infringes or misappropriates such third party’s intellectual property rights, or arising from Customer’s use of the Services or Content in breach of the Agreement, the Documentation, Order Form or applicable law (each a “Claim Against Kyndi”), and will indemnify Kyndi from any damages, attorney fees and costs finally awarded against Kyndi as a result of, or for any amounts paid by Kyndi under a settlement approved by Customer in writing of, a Claim Against Kyndi, provided Kyndi: (a) promptly gives Customer written notice of the Claim Against Kyndi; (b) gives Customer sole control of the defense and settlement of the Claim Against Kyndi (except that Customer may not settle any Claim Against Kyndi unless it unconditionally releases Kyndi of all liability); and (c) gives Customer all reasonable assistance, at Customer’s expense. 9.1 Limitation of Liability. IN NO EVENT SHALL THE AGGREGATE LIABILITY OF EACH PARTY TOGETHER WITH ALL OF ITS AFFILIATES ARISING OUT OF OR RELATED TO THIS AGREEMENT EXCEED THE TOTAL AMOUNT PAID BY CUSTOMER AND ITS AFFILIATES HEREUNDER FOR THE SERVICES GIVING RISE TO THE LIABILITY IN THE TWELVE (12) MONTHS PRECEDING THE FIRST INCIDENT OUT OF WHICH THE LIABILITY AROSE. THE FOREGOING LIMITATION WILL APPLY WHETHER AN ACTION IS IN CONTRACT OR TORT AND REGARDLESS OF THE THEORY OF LIABILITY, BUT WILL NOT LIMIT CUSTOMER’S AND ITS AFFILIATES’ PAYMENT OBLIGATIONS UNDER THE “FEES AND PAYMENT” SECTION ABOVE. 9.2 No Consequential and Related Damages. IN NO EVENT WILL EITHER PARTY OR ITS AFFILIATES HAVE ANY LIABILITY ARISING OUT OF OR RELATED TO THIS AGREEMENT FOR ANY LOST PROFITS, REVENUES, GOODWILL, OR INDIRECT, SPECIAL, INCIDENTAL, CONSEQUENTIAL, COVER, BUSINESS INTERRUPTION OR PUNITIVE DAMAGES, WHETHER AN ACTION IS IN CONTRACT OR TORT AND REGARDLESS OF THE THEORY OF LIABILITY, EVEN IF A PARTY OR ITS AFFILIATES HAVE BEEN ADVISED OF THE POSSIBILITY OF SUCH DAMAGES OR IF A PARTY’S OR ITS AFFILIATES’ REMEDY OTHERWISE FAILS OF ITS ESSENTIAL PURPOSE. 9.3 Exclusions. THE FOREGOING LIMITATIONS AND DISCLAIMERS WILL NOT APPLY TO: (A) A BREACH OF SECTION 6.0 (CONFIDENTIALITY): INDEMNIFICATION OBLIGATIONS UNDER SECTION 7.0; AND (C) THE EXTENT PROHIBITED BY LAW. 10.1 Term of Agreement. This Agreement commences on the Effective Date and continues until all subscriptions hereunder have expired or have been terminated (the “Term”). 10.2 Term of Subscriptions. The term of each subscription shall be as specified in the applicable Order Form. Except as otherwise specified in an Order Form, subscriptions will automatically renew for additional periods equal to the expiring subscription term or one year (whichever is shorter), unless either party gives the other notice of non-renewal at least 30 days before the end of the relevant subscription term. The per-unit pricing during any renewal term will increase by up to seven percent (7%) above the applicable pricing in the prior term, unless Kyndi provides Customer notice of different pricing at least 60 days prior to the applicable renewal term. Except as expressly provided in the applicable Order Form, renewal of promotional or one-time priced subscriptions will be at Kyndi’s applicable list price in effect at the time of the applicable renewal. Notwithstanding anything to the contrary, any renewal in which subscription volume for any Services has decreased from the prior term will result in re-pricing at renewal without regard to the prior term’s per-unit pricing. 10.3 Suspension for Non-payment or Ongoing Harm. Kyndi reserves the right to suspend Customer’s and any Affiliates’ access to and/or use of the Services: (a) for any accounts for which any payment is due but unpaid but only after Kyndi has provided Customer two (2) delinquency notices, and at least thirty (30) days have passed since the transmission of the first notice (“Delinquent Account Status”); (b) for which Customer has not paid for the renewal term and has not notified Kyndi of its desire to renew the Service by the expiration of the then current term; or (c) with reasonably contemporaneous telephonic or electronic notice to Customer if Kyndi reasonably concludes that Customer’s use of the Services is causing immediate, material and ongoing harm to Kyndi or others. Customer agrees that Kyndi shall not be liable to Customer or to any Customer Affiliate or other third party for any suspension of the Service pursuant to this Section 10.3. 10.4 Termination for Cause/Expiration. Either party may immediately terminate this Agreement and all Estimates/Order Forms issued hereunder in the event the other party commits a material breach of any provision of this Agreement which is not cured within thirty (30) days of written notice from the non-breaching party. Such notice by the complaining party shall expressly state all of the reasons for the claimed breach in sufficient detail so as to provide the alleged breaching party a meaningful opportunity to cure such alleged breach and shall be sent to the alleged breaching party at the address listed in the heading of this Agreement (or such other address that may be provided pursuant to this Agreement). Upon termination or expiration of this Agreement, Customer shall have no rights to continue use of the Service. If this Agreement is terminated by Customer for any reason other than a termination expressly permitted by this Agreement, Customer agrees that Kyndi shall be entitled to all of the fees due under this Agreement for the entire Term. If this Agreement is terminated as a result of a breach on Kyndi’s part, Kyndi shall refund the pro rata portion of any subscription fees paid by Customer to Kyndi under this Agreement for the terminated portion of the Term. 10.5 Handling of Customer Data Upon Termination. Customer agrees that following termination of Customer’s account and/or use of the Services, Kyndi may immediately deactivate Customer’s account. 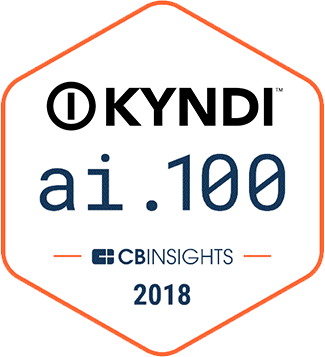 For up to ninety (90) days following the expiration or any earlier termination of this Agreement, and upon Customer’s request, Kyndi will grant Customer limited access to the Services for the sole purpose of permitting Customer to retrieve Customer Data, provided that: (a) Customer has paid in full all good faith undisputed amounts owed to Kyndi; and (b) for clarity, Kyndi’s obligations under this Section do not apply to any Resultant Data. 10.6 Surviving Provisions. The sections titled “Fees and Payment,” “Proprietary Rights and Licenses,” “Confidentiality,” “Disclaimers,” “Mutual Indemnification,” “Limitation of Liability,” “Handling of Customer Data Upon Termination,” “Surviving Provisions” and “General Provisions” will survive any termination or expiration of this Agreement. 11.1 Export Compliance. The Services, Content, other Kyndi Materials, and derivatives thereof may be subject to export laws and regulations of the United States and other jurisdictions. Kyndi and Customer each represents that it is not named on any U.S. government denied-party list. Customer will not permit any User to access or use any Service or Content in a U.S.-embargoed country or region (currently Cuba, Iran, North Korea, Sudan, Syria or Crimea) or in violation of any U.S. export law or regulation. 11.2 Anti-Corruption. Neither party has received or been offered any illegal or improper bribe, kickback, payment, gift, or thing of value from an employee or agent of the other party in connection with this Agreement. Reasonable gifts and entertainment provided in the ordinary course of business do not violate the above restriction. 11.3 Entire Agreement and Order of Precedence. This Agreement is the entire agreement between Kyndi and Customer regarding Customer’s use of the Services and Content and supersedes all prior and contemporaneous agreements, proposals or representations, written or oral, concerning its subject matter. The parties agree that any term or condition stated in a Customer purchase order or in any other Customer order documentation (excluding Order Forms) is void. In the event of any conflict or inconsistency among the following documents, the order of precedence shall be: (1) the applicable Order Form, (2) any exhibit, schedule or addendum to this Agreement, (3) the body of this Agreement, and (4) the Documentation. 11.4 Relationship of the Parties. The parties are independent contractors. This Agreement does not create a partnership, franchise, joint venture, agency, fiduciary or employment relationship between the parties. 11.5 Third-Party Beneficiaries. There are no third-party beneficiaries under this Agreement. 11.6 Notices. All notices related to this Agreement will be in writing and will be effective upon: (a) personal delivery; (b) the second business day after mailing; (c) the second business day after sending by confirmed facsimile; or (d) except for notices of termination or an indemnifiable claim (“Legal Notices”), the day of sending by email. 11.7 Waiver. No failure or delay by either party in exercising any right under this Agreement will constitute a waiver of that right. 11.8 Severability. If any provision of this Agreement is held by a court of competent jurisdiction to be contrary to law, the provision will be deemed null and void, and the remaining provisions of this Agreement will remain in effect. 11.9 Assignment. Neither party may assign any of its rights or obligations hereunder, whether by operation of law or otherwise, without the other party’s prior written consent (not to be unreasonably withheld); provided, however, either party may assign this Agreement in its entirety (including all Order Forms), without the other party’s consent to its Affiliate or in connection with a merger, acquisition, corporate reorganization, or sale of all or substantially all of its assets. Notwithstanding the foregoing, if a party is acquired by, sells substantially all of its assets to, or undergoes a change of control in favor of, a direct competitor of the other party, then such other party may terminate this Agreement upon written notice. In the event of such a termination, Kyndi will refund Customer any prepaid fees covering the remainder of the term of all subscriptions for the period after the effective date of such termination. Subject to the foregoing, this Agreement will bind and inure to the benefit of the parties, their respective successors and permitted assigns. 11.10 Governing Law. This Agreement, and any disputes arising out of or related hereto, will be governed exclusively by the internal laws of the State of California, without regard to its conflicts of laws rules or the United Nations Convention on the International Sale of Goods. 11.11 Venue. The state and federal courts located in San Francisco County, California will have exclusive jurisdiction over any dispute relating to this Agreement, and each party consents to the exclusive jurisdiction of those courts.